This food supplement for dogs focuses on the maintenance of cartilage joint fluids. This dog food supplement supports cartilage and joint fluid. Compared to amiQure Mobility, amiQure Glucosamine Big Size provides a double dose of glucosamine and excipients to offer better absorption. 1 tablet per 15 kg body weight. Owners are encouraged to first try amiQure Mobility for the initial treatment of joint problems. 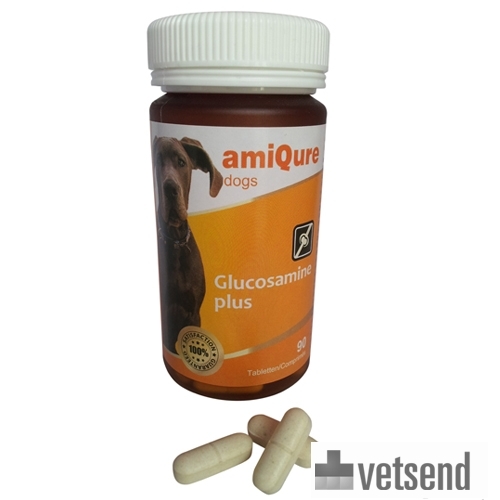 Of course amiQure Glucosamine Big Size may also be used for smaller dogs with symptoms. Have you used amiQure Glucosamine Big Size before? Let us know what you think about this product.